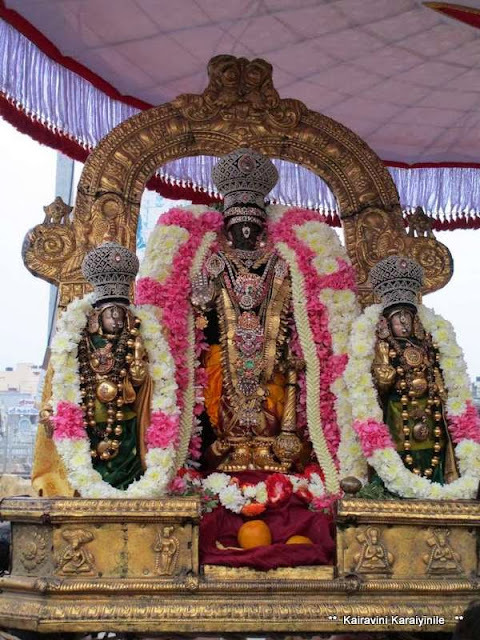 Today [14th Dec 2013 is an all important day for Srivaishnavaites– ‘shukla paksha’ dwadasi of the month of Karthigai. [shukla paksham is the waxing phase of Moon and dwadasi is the 12th day – the day following Ekadasi]. Today is “Kaisika Dwadasi”. In Divyadesams, most importantly at Thirukurungudi, Thiruvarangam and in Thiruvallikkeni – ‘kaisika puranam’ is read before the Lord. 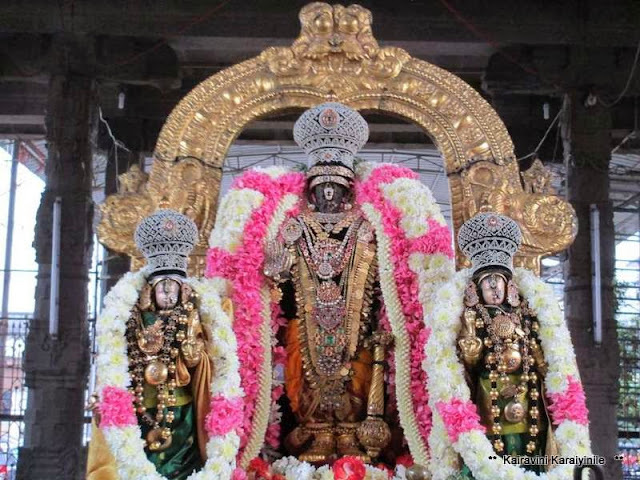 ~ if you wondering of the significance of ThirukKurungudi…. Do read on …. 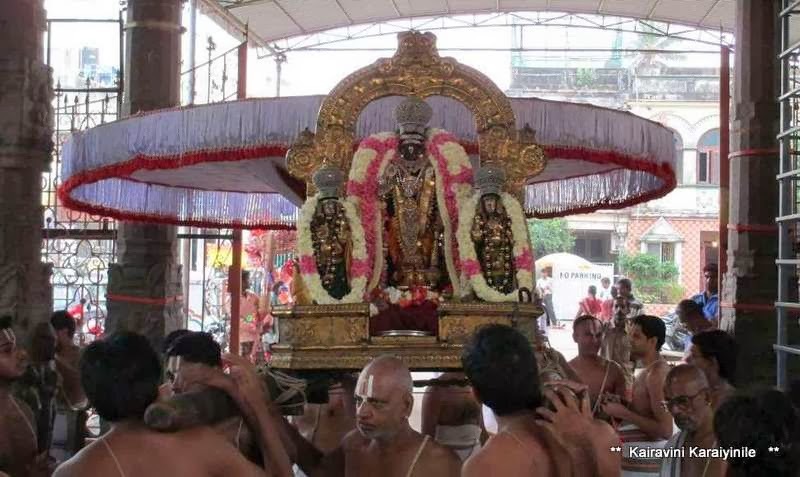 A few years ago, Sri Parthasarathi Perumal used to visit Vasantha Uthsava Bungalow as it was ‘Vana Bojana Uthsavam’….. now the Bungalow is not there ~ so also the Uthsavam. 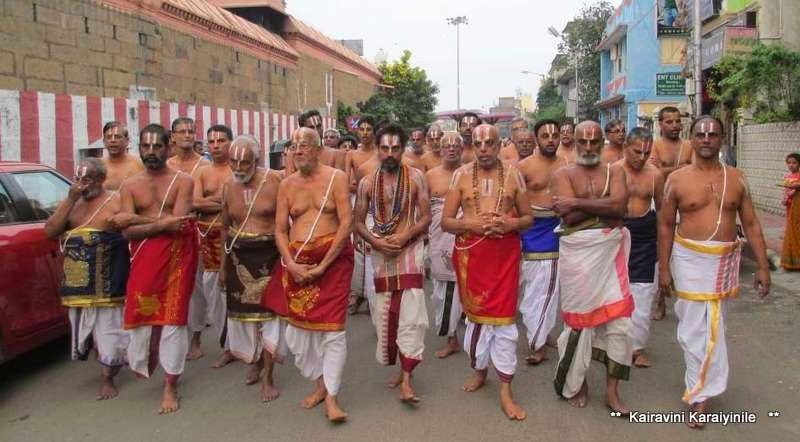 There was periya mada veethi purappadu in which ‘Sthothra Padam’ – Thadi Panchakam (of Sri Kurathazhwan); Stothra Rathnam (Sri Alavanthar); Yathiraja Vimsathi (Swami Manavalamamunigal), Purva Dinasarya (Sri Erumbiappa) were rendered. 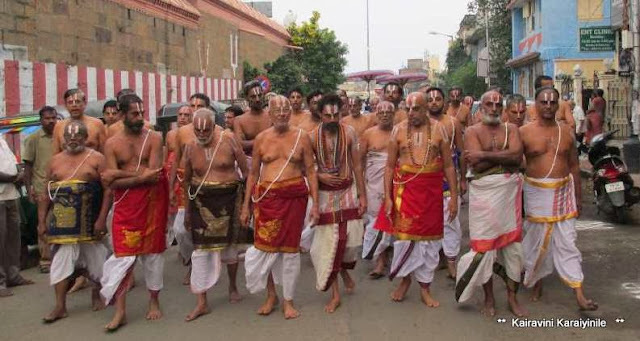 Varthamana Sri Mudaliandan Swami - Sri U.Ve.K.K.V.A.Ramanujam Swamy embellished the goshti. 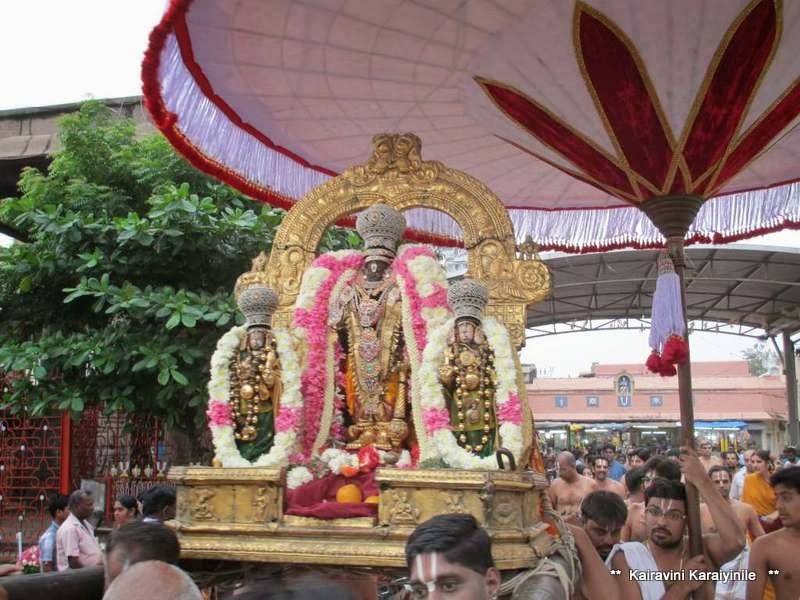 Here are some photos of Lord Parthasarathi taken on Kaisika Dwadasi Purappadu at Thiruvallikkeni, today i.e., 14th Dec 2013.